What are the risks of facing a criminal trial in France after writing an academic book review in English? 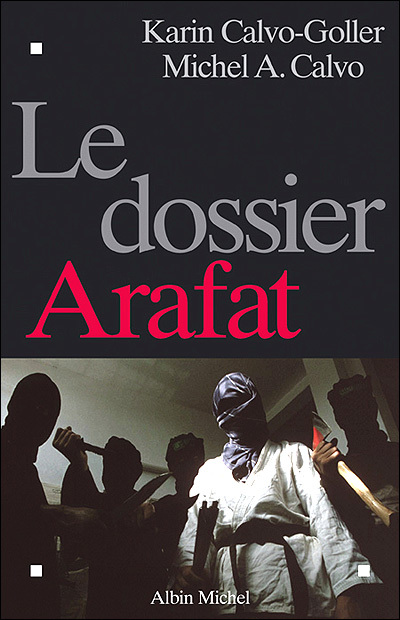 You may think that if the book was written in English by a scholar who neither lives nor works in France, and if the reviewer is himself neither French, nor living or working in France, that could not happen. A variety of blogs of public international law have reported how Joseph Weiler, the Joseph Straus Professor of Law and European Union Jean Monnet Chair at NYU law school, has been sued in France in his capacity of editor-in-chief of a book review website, www.globallawbooks.org. 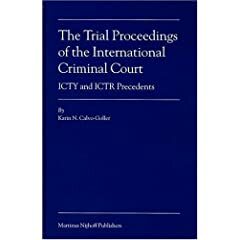 The plaintiff is a scholar teaching in Israel, Dr. Karin N. Calvo-Goller, who has authored a book on international criminal procedure. Weiler asked a German scholar of criminal law and Dean of Cologne law school, Thomas Weigend, to review the book for the site. The plaintiff did not like the review. She wrote to Weiler to ask him to remove the review from the site. Weiler answered that, for a variety of reasons, he would not. Further letters were exchanged between Weiler and the plaintiff. Weiler offered to, and actually did ask Weigend whether he wanted to change anything in his review. Weigend answered that he would not (the letters exchanged by Calvo-Goller and Weiler are available here). More than a year later, on September 26th, 2008, Weiler was summoned to appear before a French investigating judge. Criminal proceedings had been initiated in France for libel. Weiler appeared before the judge who explained that the hearing would be merely formal. This is because alleged victims of criminal offences may, under French law, initiate criminal proceedings, but a full investigation by an investigating judge (juge d’instruction) will only follow if the case is complex. If it is not, it will be for the court to rule directly on the accusation. In this case, that is what was happening, and Weiler would thus have to face trial in June 2010. I understand that Weigend has not been made a party to the proceedings. I am no expert in criminal law, so I cannot say whether the offence of libel is constituted under French criminal law. But from a conflict perspective, the case also raises an interesting issue of international jurisdiction. Why would French courts have jurisdiction over this dispute offence? I understand that Weigend lives and works in Germany, and is a German national. I also understand that Weiler lives and works in New York. Dr. Calvo-Goller is a senior lecturer at the Academic Center of Law & Business in Israel, so I would think she lives in Israel. What is the connection with France, then? There are arguably two. First, according to her website, Dr. Calvo-Goller was fully educated in Paris, and worked there for some time. This should not matter. But it might be that the reason why she studied in France is that she was born there. She might then be a French national. That would matter, as Article 113-7 of the French Criminal Code provides that French criminal law governs (and thus French courts have jurisdiction over) offences hurting French nationals. But in such cases, alleged victims cannot freely sue before French courts. The Criminal Code requires that the public prosecution service grants leave to do so. Then, French law governs offences committed in France, wholly or partially (French Criminal Code, art. 113-2), irrespective of the nationality of the persons involved. The issue here is of course whether a website accessible in France entails that alleged libel on the site is committed in France for the sole reason that the site is accessible there. Actually, recent case law of French superior courts, although it does not directly address the issue, suggests that the answer is probably no. The most relevant case concerned an article published on its website by an Italian newspaper. It was alleged that the article had violated French intellectual property law. The Court held that French law did not apply because the site was written in Italian, and targeted an Italian audience. It further held that whether the site was accessible from France was irrelevant for the purpose of establishing French criminal jurisdiction. It was necessary to establish a “sufficient, material or significant connection” with French law, and none could be found in this case. The Court concluded that the offence had therefore been (wholly) committed in Italy. Now, requiring such a connection with France seems most sensible. Otherwise, French courts might become available for protecting the reputation of all victims of libel (by French standards). In the Calvo case, is there such connection? Obviously, the review and the book were written in English. They did not specifically target a French audience, but it would probably be too much to say that they excluded it. An additional question is this: should it be relevant whether the alleged victim has a reputation in France? In this respect, it should be noted that Dr. Calvo-Goller has written at least two books in French. So, she does have a reputation which is more specifically French to defend. But would that reputation be a significant connection? And would it be enough if it was found that it is merely based on French publications? I am grateful to Marie-Elodie Ancel for pointing out to me the most recent cases on the relevance of accessibility in France of foreign websites for international jurisdiction of French courts in criminal matters. I am Dr Karin CALVO-GOLLER’s husband. Karin is not an enemy of Academic Freedom. And you have been mislead. to have a full view of what happened. I have removed the link to your website. If you read the post above, at no point does it suggest that Dr Calvo-Goller is ‘an enemy of academic freedom.’ This post is purely about the jurisdiction of the French courts in these proceedings. If you wish to debate or discuss that point, please feel free to do so, but this website will not be used as a vehicle by either party to the proceedings to offer their own, necessarily biased, view of events.